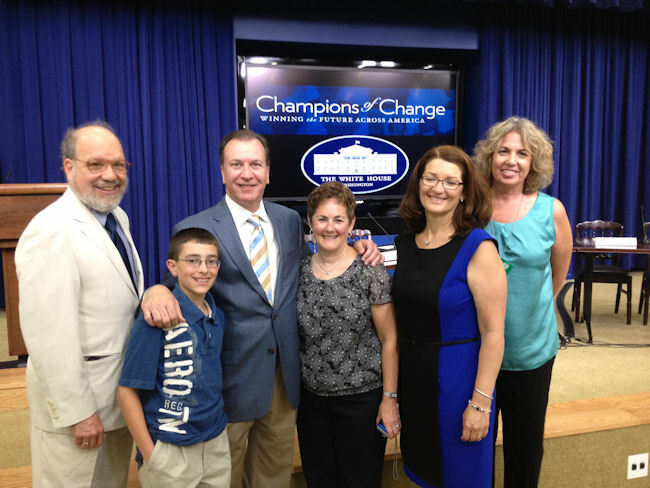 Frank Cirillo, Director of the Mercer County Board of Social Services, has been selected by the US Interagency Council on Homelessness as a Champion of Change in the Fight Against Youth Homelessness. Mr. Cirillo was honored on Thursday, July 12, among other leaders who have made a significant difference in the way their communities to combat homelessness among children and youth. 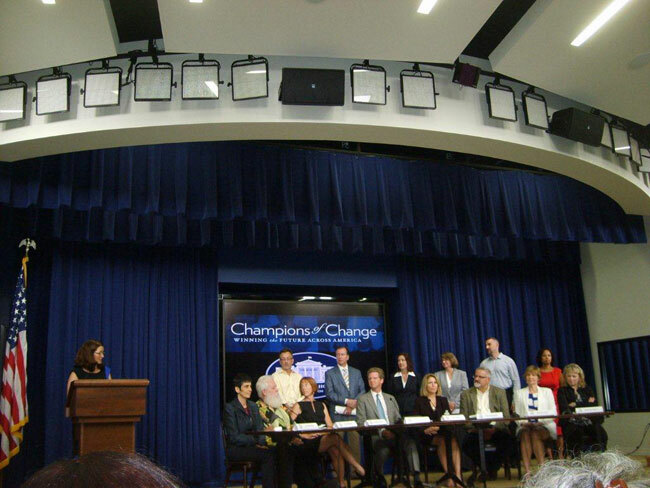 On July 12, the White House, along with the U.S. Interagency Council on Homelessness, hosted a Champions of Change in the Fight Against Youth Homelessness event. 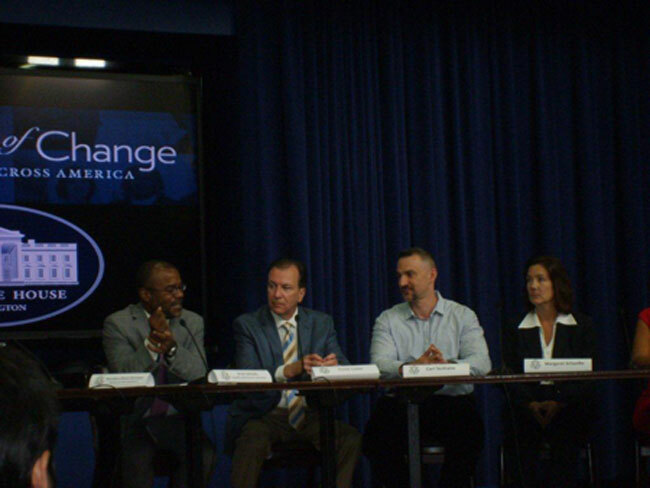 At this event, agency representatives and various White House officials participated in a discussion with the Champions to hear about their efforts to serve some of our most vulnerable neighbors in their struggle with homelessness. In conjunction with this White House event, Mercer’s Rapid Rehousing story will also be featured on the White House website. The Mercer County Board of Social Services (MCBOSS) administers the Temporary Assistance to Needy Families (TANF) and Workforce Investment Act program. In addition to overseeing the provision of cash assistance and work support to low-income families, MCBOSS provides financial support to homeless service agencies providing shelter and transitional housing to homeless TANF families. Mr. Cirillo serves on the Board of the Mercer Alliance to End Homelessness and in this role he participated in a year-long review of the community’s family homeless service system. In his role on the Board of Mercer Alliance and MCBOSS, Mr. Cirillo encouraged and supported the testing of rapid re-housing, a new approach to responding to family homelessness in Mercer County. In partnership with the Mercer Alliance, he approached the State and received permission to use TANF resources to support a rapid re-housing pilot. The County was also one of 23 communities selected by the U.S. Department of Housing and Urban Development (HUD) to implement the Rapid Re-housing for Families Demonstration. As a primary funder of homeless shelter and transitional housing programs in Mercer County, Mr. Cirillo also took on a leadership role in encouraging local providers to test this new approach. The effort in Mercer County became much more expansive with allocation of new resources under the Homelessness Prevention and Rapid Re-housing Program (HPRP) provided under the American Recovery and Reinvestment Act (ARRA). Under the new program model, families who are homeless receive help finding new housing, time-limited rental assistance and case management services. Because MCBOSS administers both TANF and WIA, families also receive significant support to enter the workforce. The early indicators of the model were so promising that MCBOSS decided to adopt their own internal rapid re-housing program staffed entirely by MCBOSS personnel. The program model rests on a basic premise that stable housing is a prerequisite for stable family living and well-being. The two components needed to achieve this foundation is the rapid re-housing support to find new housing, negotiate with landlords, and short-term help paying for housing and the employment assistance that will help families achieve greater economic stability. This is the primary focus of the County’s new approach to ending family homelessness. Families are connected to services for their children as appropriate, including developmentally appropriate child care. It is the program’s premise that what children want most is what their parents want most – a home of their own and an assurance that they will be safe from the traumatic impact of homelessness and frequent housing disruptions. Once the crisis of homelessness is abated, and families are secure in their new housing, children and their parents will benefit from social services, including child development, education, and counseling support, to help them achieve their long-term goals and improved well-being. The new flexible model adopted in Mercer County to rapidly re-house families has allowed providers to adapt services to families that are prone to fall through the cracks in systems of care. As an example, rapid re-housing has been used to assist single fathers with young children. This subpopulation consistently face challenges accessing shelter programs as family shelter programs often exclude men and shelters for men are not family-friendly. With the ability to meet their housing needs, providers are able to more fully engage both parents and children in supportive services and ensure that their other service needs are met. The increased engagement of this subpopulation in services has also highlighted unique challenges single fathers face maintaining employment that providers and advocates are now working to overcome to help reduce their homelessness. Rapid re-housing is also being used for young mothers with limited work history and who may never have lived independently. The flexible model can be used to “right-size” intervention models to ensure they have the additional support they require to achieve housing stability, employment, and improved ability to care for their young children in their own home. Rapid re-housing has been very successful in Mercer County. While the numbers of families turning to homeless service programs over the course of a year in Mercer has increased due to the prolonged recession and stalled recovery, the number of families staying in a shelter or transitional housing program on any given day declined by approximately one-third (32%). This is due, in part, to the increased capacity to help families move out of shelter faster and more successfully. In a time when many communities are seeking to expand their capacity to shelter homeless families, Mercer County is slowly reducing their homeless shelter/transitional housing capacity because of declining demand. One of the most compelling features of Mercer County’s rapid re-housing pilots, particularly the Rapid Re-housing program offered within MCBOSS, is the potential for replication. The rapid re-housing programs in Mercer County began with dedicated new resources, including HPRP and money from the Rapid Re-housing Demonstration. In concert with new spending, however, there have also been shifts in how existing resources are used. Money that used to be spent supporting lengthy stays in transitional housing are now allocated to helping families move into homes of their own. TANF workers who used to monitor shelter and transitional housing providers’ performance are now themselves delivering services to families to help them simultaneously meet their employment and housing goals. The cost of intervening to assist a family experiencing homelessness costs less with this approach, both on a per diem basis and over the term of the assistance. The Mercer Alliance will be issuing a report on the costs savings in the Fall of 2012. In every community, there are dedicated TANF agencies charged with helping low-income families with children reconnect to employment and provide time-limited financial assistance so children can be cared for in their own home. Mercer blends rapid re-housing interventions with the employment support families require to transition into greater self-sufficiency. With the increasing shift in use of rapid re-housing to respond to homeless families that requires families to quickly find employment to assume the rental costs after financial assistance ends, the integration of housing/employment support achieved in Mercer is ideally suited for broader replication. In order to replicate Rapid Rehousing in other New Jersey counties, the Butler Family Fund, a foundation with national scope, recently made a significant grant to the Mercer Alliance to End Homelessness. Frank Cirillo is a graduate of Rider University and the Director of the Mercer County Board of Social Services (MCBOSS). He has over 40 years of experience at MCBOSS in administering a variety of social service programs, including Temporary Assistance to Needy Families (TANF), Medicaid, NJSNAP (Food Stamp Program), General Assistance, Adult Protective Services, Work First New Jersey (WFNJ), and Child Support. Under his direction, MCBOSS has continued and expanded upon its tradition of developing strong and effective governmental and community partnerships in implementing program reforms, and advocating for new and creative efforts in addressing the challenges confronting poor and working poor individuals and families. These efforts include pilot initiatives to combat homelessness, facilitate re-entry from correctional institutions, improve access to nutrition, enhanced workforce development, and improved access to child support. MCBOSS has received numerous commendations and awards for program excellence in recognition of its efforts. Mr. Cirillo currently serves as president of the County Welfare Directors Association of New Jersey. 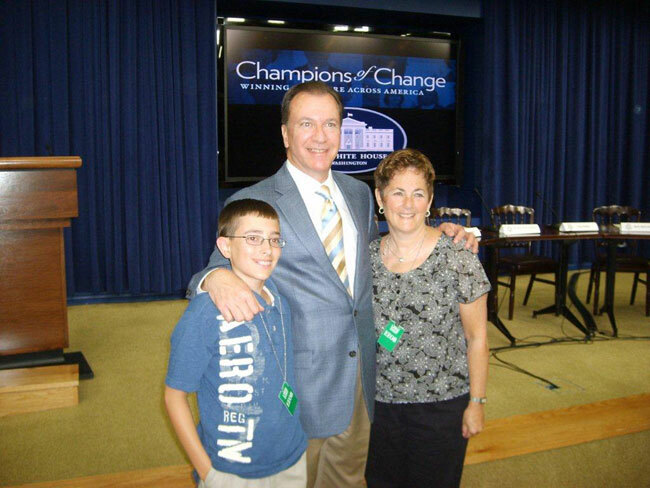 He is a member of the Board of the Mercer County Alliance to End Homelessness, the New Jersey Child Support Council, and the New Jersey Hunger Coalition. Additionally, he serves on numerous intergovernmental and community boards and organizations. He also served twelve years as a councilman for the City of Trenton, including four years as Council President (1999-2002). Mr. Cirillo has been married to his wife Pam for 36 years. They are the proud parents and grandparents of three children and four grandchildren.